I spent 2 full days completely on forming metal and layering enamel. It was just heaven! I love the process of enamel and can’t seem to stop layering! Each layer makes the piece more intense and adds so much depth. 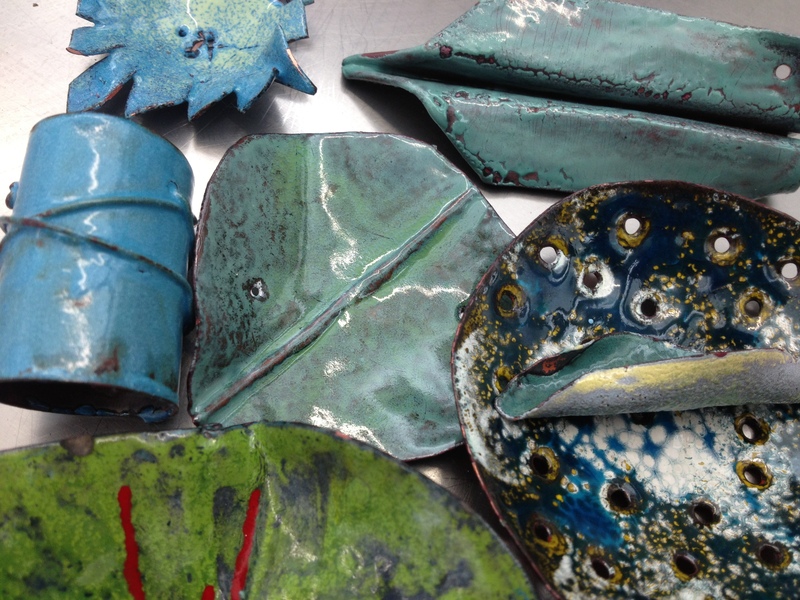 The heat on the metal creates beautiful, earthy, organic texture and compliments the enamel. 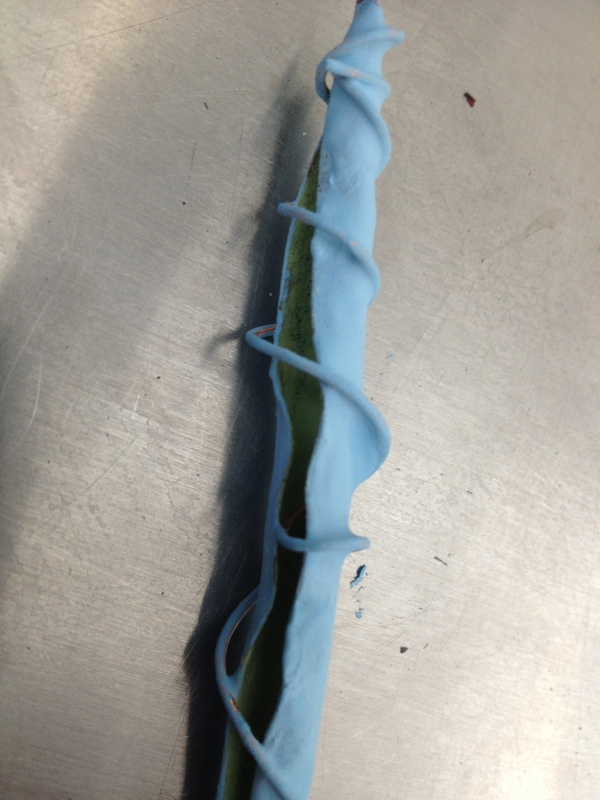 I enjoy created different shapes and forms for the enamel to move around and into. 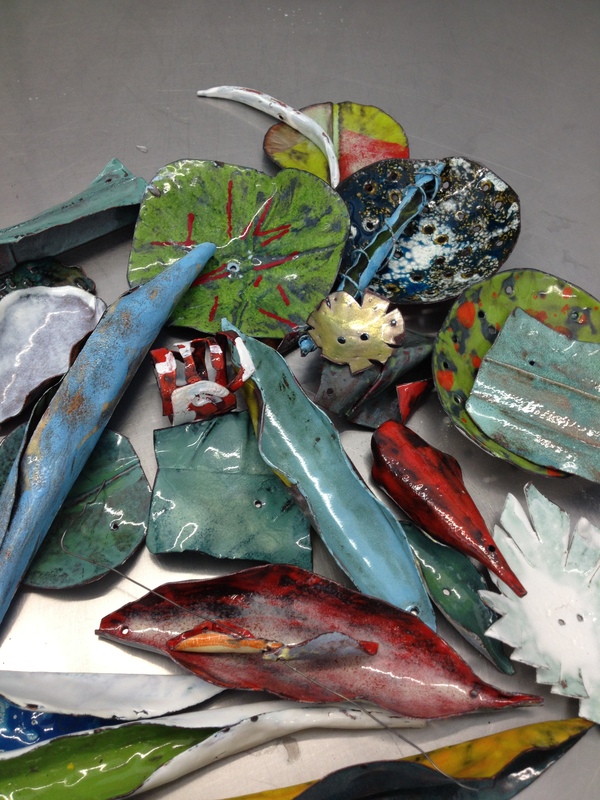 These pieces are now ready to become part of my Urban Garden sculptures for Art Denver. 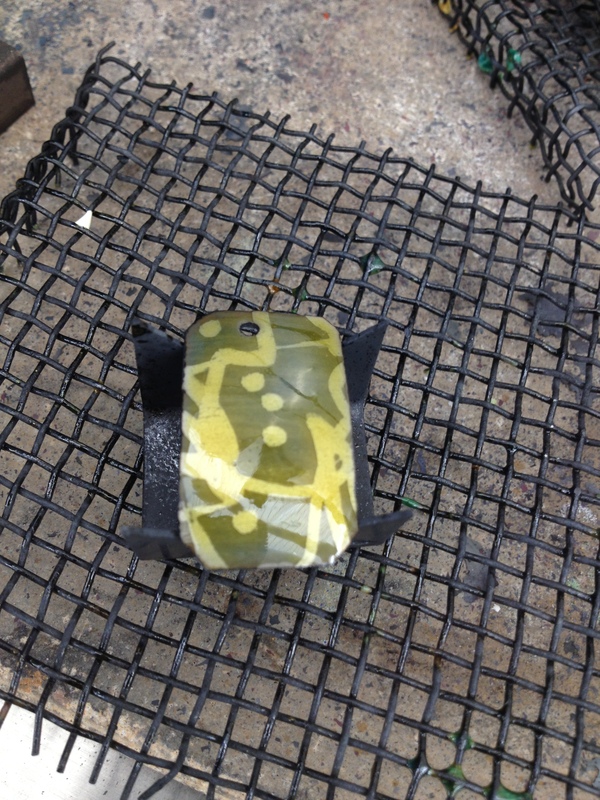 I’ll be posting a video of this process next week so check back for a quick demo on torch firing enamels. I’m excited to create some fun enamel jewelry this holiday season too! 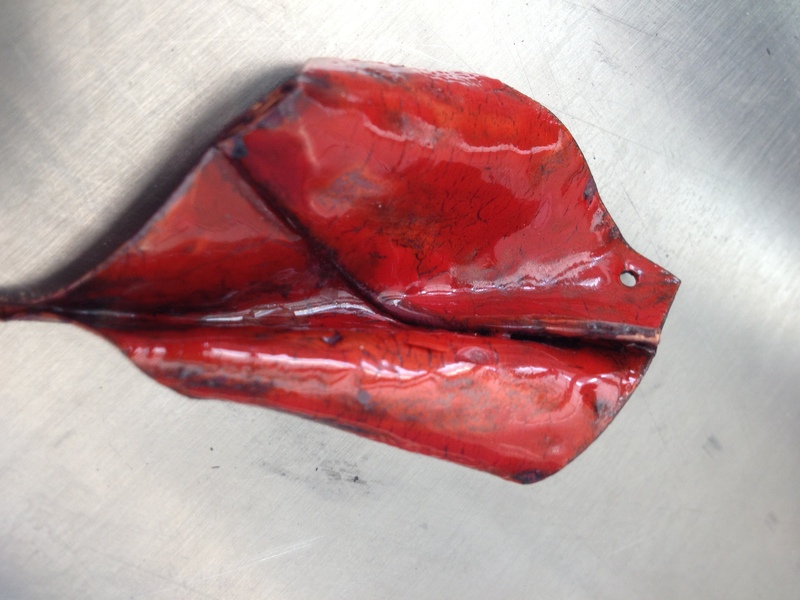 Previous PostPrevious Fall urban art/jewelry …..
Next PostNext busy studio… Art Denver right around the corner!